Medical Company Web Design | DigitalHipster Inc.
ecause of their extensive and very personal product line, Pace needed a website that was easy to use for baby boomers and their kids looking for medical supplies. The ultimate goal was to have customers visit their showroom where they can try the chairs themselves vs. buying online. The old website was not responsive which meant their potential customers had to zoom in and out to view it. It also had a dated look. 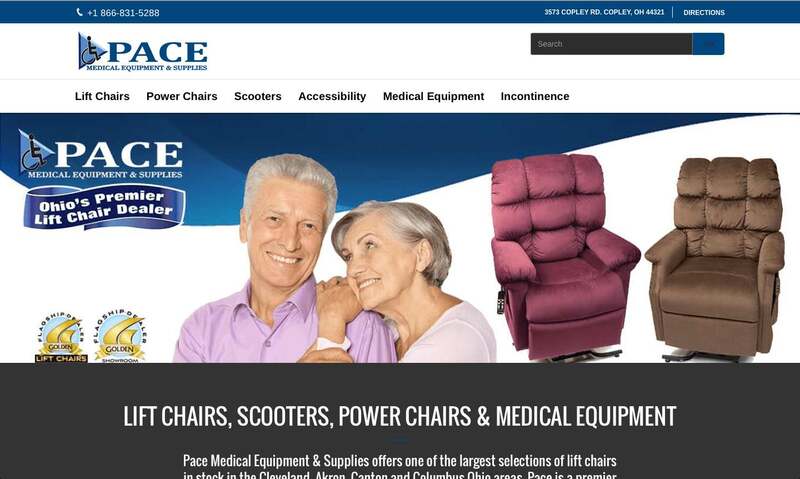 We worked with Pace to integrate an extensive line of lift chairs, scooters and other products from their vendors. 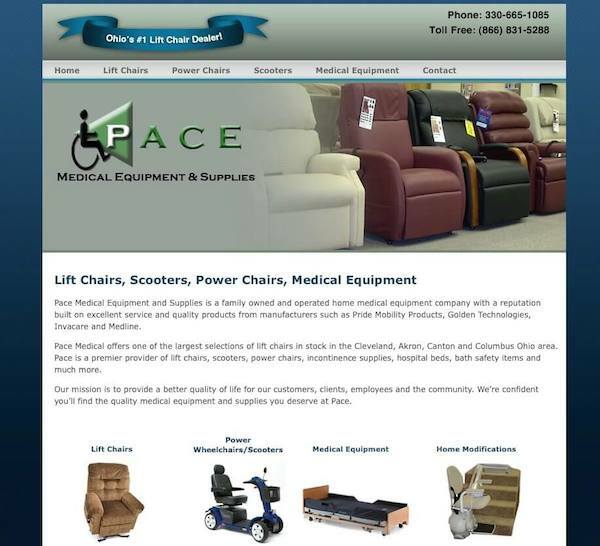 Pace Medical Equipment &amp; Supplies is a family owned business located in Copley, Ohio. They have an expansive showroom with one of the largest selection of of Golden Technologies Scooters, Lift Chairs, and Power Chairs in Ohio. They also offer a huge selection of medical supplies, accessibility solutions and discreet incontinence delivery.